Savoy Park Hotel Apartments Make your day hotel stay enjoyable and comfortable by booking your day stay at Savoy Park Hotel Apartments. 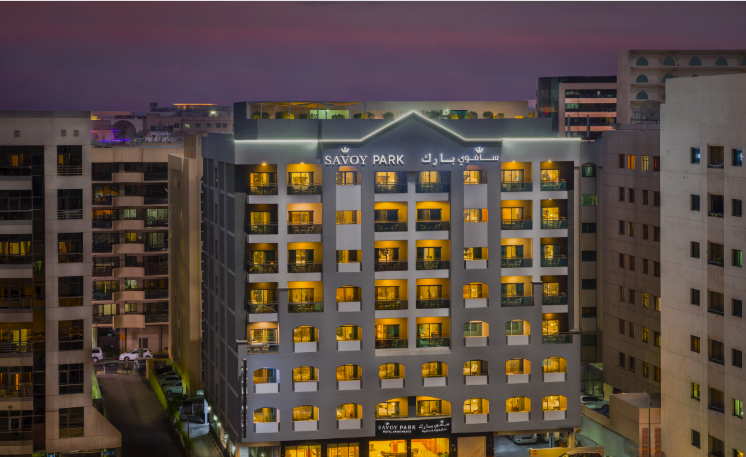 Comfort and luxury await your arrival at the Savoy Park Hotel Apartments in Dubai. 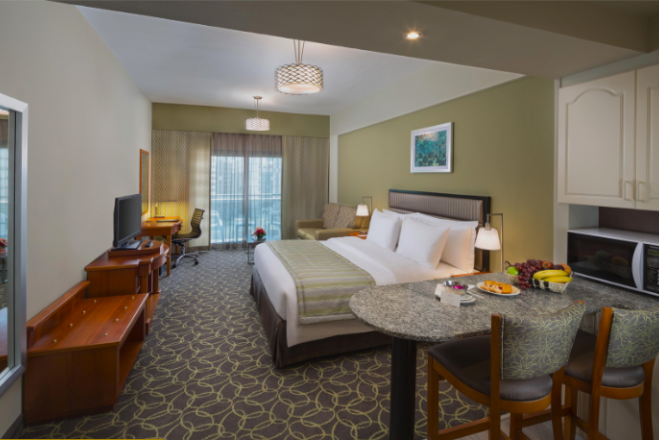 With a convenient location in the heart of Bur Dubai, the day use hotel can fill your holiday with fun and frolic. 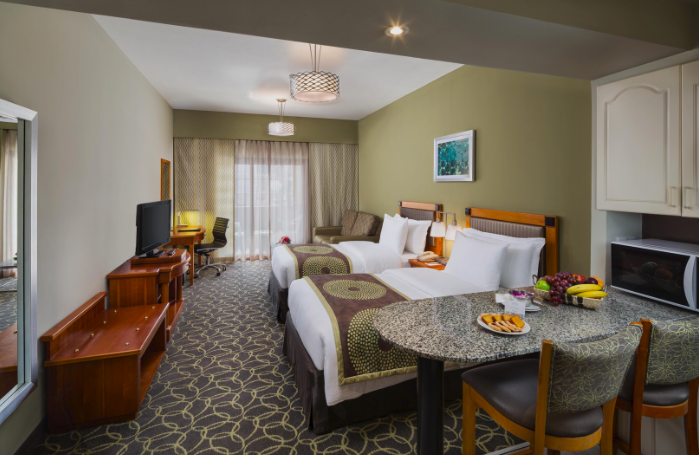 Whether you head to the city for a happening daycation with family or look forward to accomplishing work goals in the area, rest assured of comfortable experience at the Savoy Park. 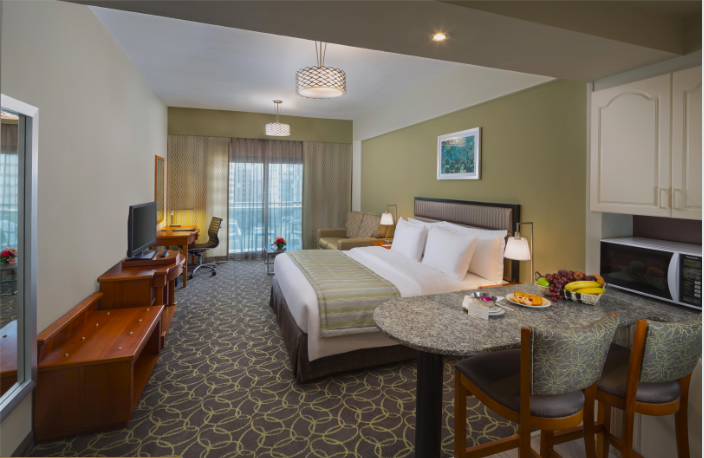 It is situated close to the Dubai International airport, accessible through a quick 20-minute ride. 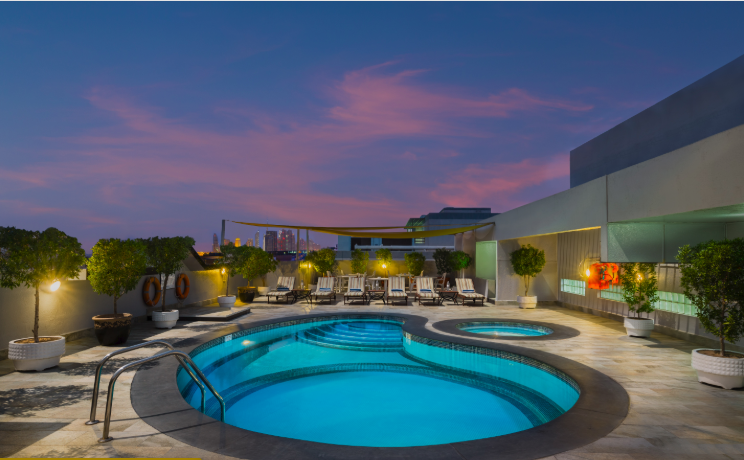 Enjoy the flexibility of booking hotel room for a few hours and explore the area that has so many options. Fill your shopping bags at the famous Burjuman shopping mall and the Dubai Gold Souk. Spend fun-filled time with kids at the Dubai Zoo and Dubai Garden Glow. Take a historic tour of the Dubai museum, before relaxing at the Jumeriah public beach – the options are truly widespread. All these attractions are located few miles from Savoy Park, making it a perfect hourly hotel. Come home to 126 fully furnished apartments offering modern amenities for every need. 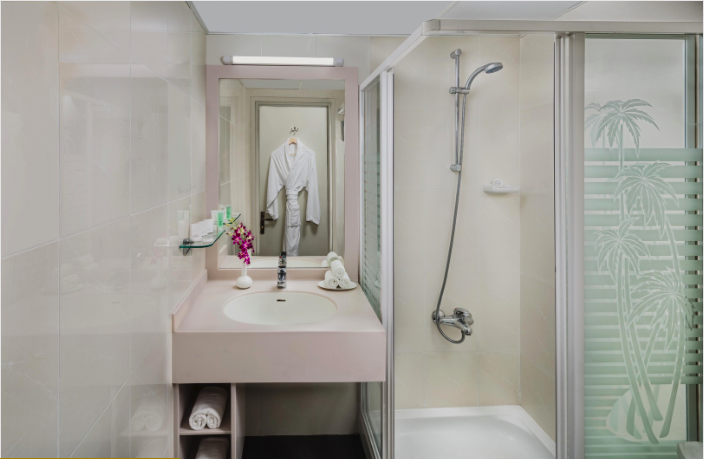 Enjoy complimentary Wi-Fi, separate kitchenette, flat screen TV, coffee/tea maker, microwave, refrigerator with freezer, iron and ironing board, hair dryer, air-conditioner and in-room electronic safe lockers. After a relaxing experience, enjoy the outdoor swimming pool, sauna and Jacuzzi. 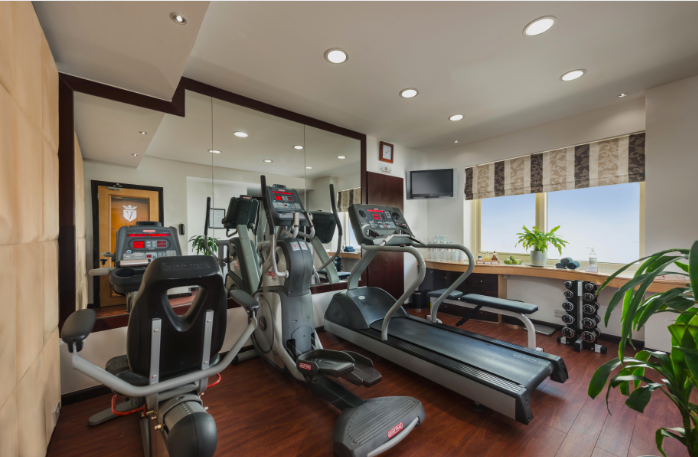 Meet your daily fitness goals at the fully equipped gymnasium. 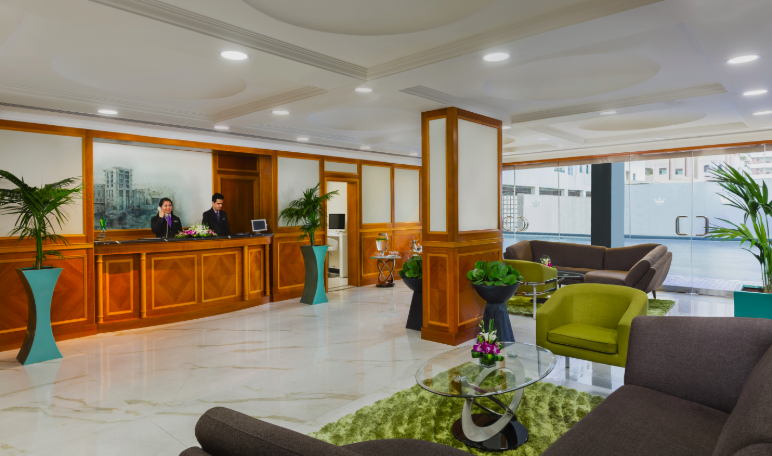 The hotel also offers concierge services, luggage storage, business center, and free bus service to nearby locations. Enjoy a comfortable day stay at the Savoy Park Hotel apartments and create memories for a lifetime. Dubai Gold Souk – A vibrant street featuring wide range of gold shops, the Dubai Gold souk is unique destination for visitors. Explore variety of artistic gold jewelry, artifacts and luxurious goods in this historic and old shopping center in the city. Burjuman Shopping Mall – Located at walking distance from the hotel, Burjuman shopping mall is a huge shopping paradise in the area. Enjoy wide collection of clothes, fashionwear, footwear, electronic, home goods and many other products within the premises. From dining options to entertainment rides, movie theatres to special events, Burjuman shopping mall has lots to offer. Dubai Dolphinarium – This indoor aquarium houses seals, dolphins and diverse marine species. Enjoy interactive experiences, dolphin shows, games and other exciting activities for the entire family. 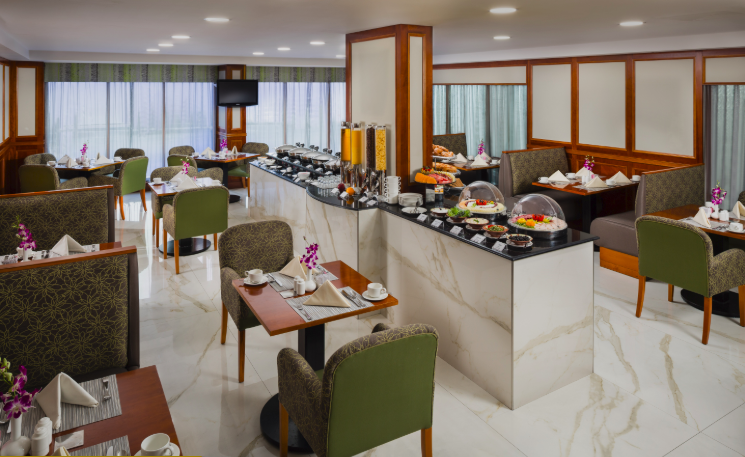 Savor gourmet food at the dining options within the premises. Smoking is prohibited in rooms and hotel premises. Free private on-site parking is available.